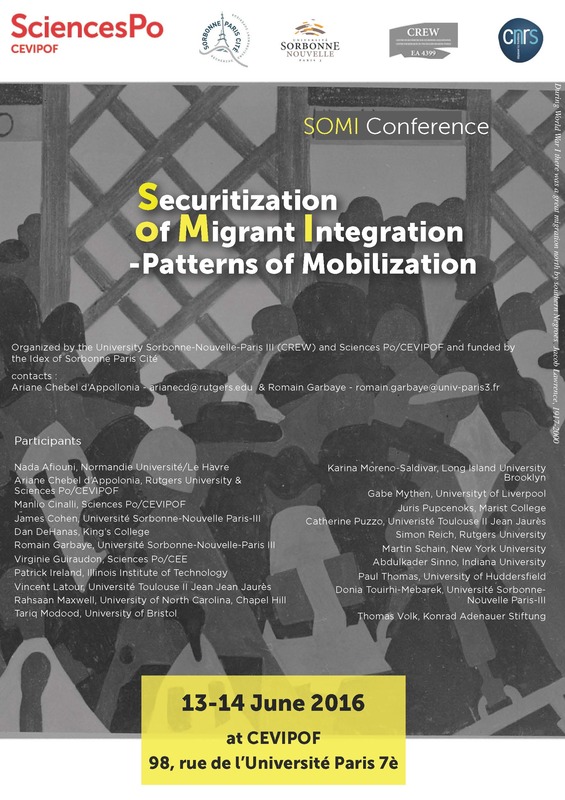 The goal of the Securitization of Migrant Integration (SOMI) project is to examine the effects of securitization on migrant perceptions of discrimination - and their subsequent responses in terms of conventional and unconventional political mobilization. Securitization relates to a broad array of measures, ranging from restrictive border controls to neo-assimilationist policies of integration, that commonly construe immigrants and their descendants as potential threats to safety, social cohesion or national identity. These policies have generally elicited negative reactions among migrant communities. Yet many studies treat migrants as passive in the face of such measures. The evidence, however, reveals that they are not. While some groups choose to remain passive, others respond – in a variety of ways. Based on that simple insight, the members of the SOMI project team have attempted to piece together both a description of the ways that different groups react and why they respond the ways that they do. Attempting to study this dynamic process raises several specific questions that participants to this SOMI conference have attempted to address. What are the levels of acceptance of these policies among targeted migrant communities? What is the impact of perceived discrimination on group identity and religiosity in these communities? And to what extent have discriminatory measures fostered alienation and resentment, stimulating various types of mobilization and possibly even violent protest?